After a long day of work, you come home to find that Theodore the Thief has broken into your home. He took several items…a few guns, your Great-Grandmothers wedding ring, and that fur you adore. This isn’t the time to find out whether or not you’re covered. The typical homeowner’s policy is going to cover your jewelry, firearms, & furs if they burn up or blow away. However, if they’re stolen your policy will only provide limited coverage for these items. Lucky for you, your ring, fur coat, and guns were added to your homeowners insurance with a special rider providing the necessary coverage. For instance, your Great-Grandmothers wedding ring appraised for $20,000. It was in the house during a fire never to be seen again. It would be covered in your policy as part of your Personal Property. Subject to your deductible. But, if the wedding ring was stolen, most homeowners policies will only provide $1,500 of coverage. Unless you add a Rider to specifically insure the ring. 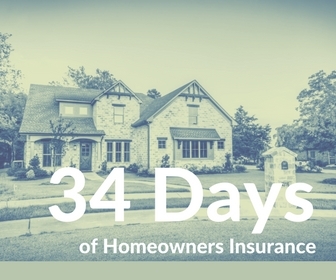 By adding a rider to your homeowners policy it will give you replacement cost coverage with a deductible of $0. Have more questions? Head over here or send us a note.